My dearest friend and I are memorized by Jo Malone colognes. The only problem, our state doesn't have a single Jo Malone counter, store, pop-up, nothing. *fights back tears*. 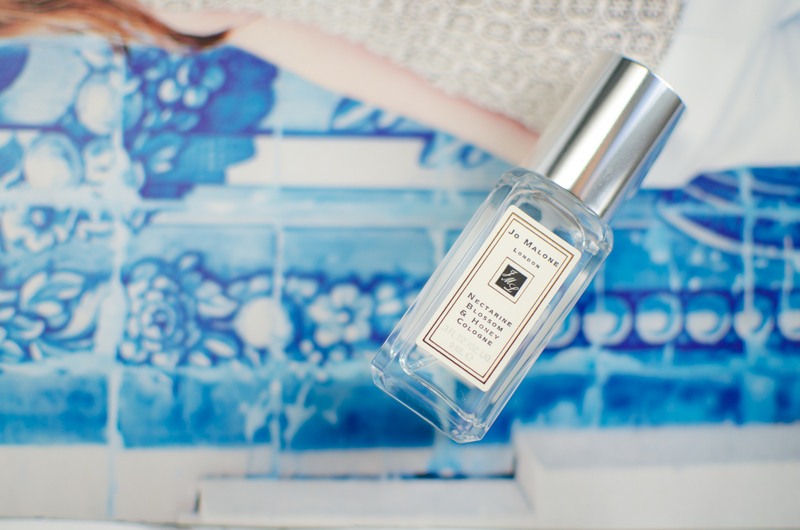 Sometimes the hunt is the best part, Jo Malone is the exception. When a petite parcel showed up on my door step right around my birthday, I had a slight inkling that I knew what it contained. 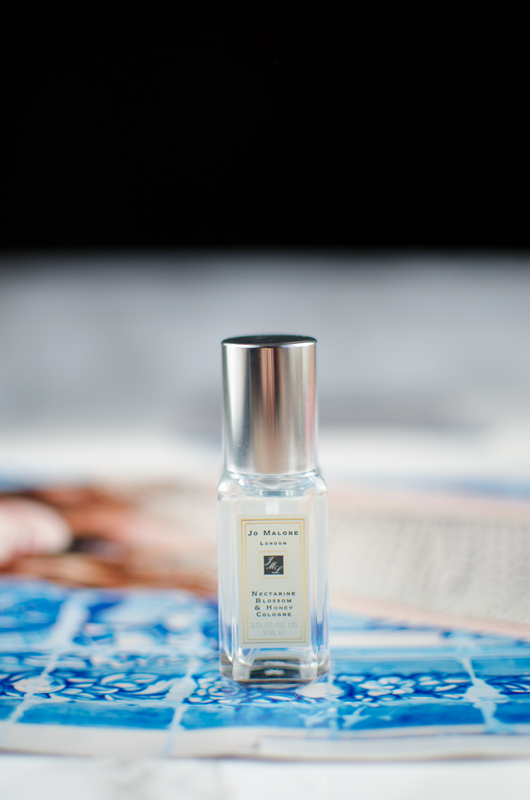 Low and behold it was my very first Jo Malone cologne. After a quick happy dance and a few squeals I spritz some on and instantly fell in love. At first spray you smell the bright citrus notes. Within twenty or so minutes a floral scent is revealed and the rest of the day you are left with a peach and crisp floral scent. Everything about Nectarine Blossom + Honey sings spring. The elegant cassis, delightful honey and fresh nectarine cascade together to create a truly staple scent for spring and summer. Have you tried any products from Jo Malone? Let me know if there are any that I need to be trying out!